Yvalain - Songwriter - "To Misery" an original by Yvalain & Maya De Luna Don't hesitate to watch on a wide HD screen and play loud. Sung melodies composed and sung by Maya de Luna Music composed and played by Yvalain Debodinance Extract of our new album "To Infinity" published on free streaming services and online digital music shops. To find it type in "yvalain" in their search bar. "To Misery" an original by Yvalain & Maya De Luna Don't hesitate to watch on a wide HD screen and play loud. Sung melodies composed and sung by Maya de Luna Music composed and played by Yvalain Debodinance Extract of our new album "To Infinity" published on free streaming services and online digital music shops. To find it type in "yvalain" in their search bar. Yvalain hasn't uploaded any pics yet. "Hiking In The Woods", a new original by Zapple Pie composed by Mark Taylor (music) and Yvalain Debodinance (words) with Glenn Basham on all vocals, Mark Taylor on lead guitar and Yvalain on bass, acoustic guitar, percussions and production. "LET HIM CRY" an original composition by Yvalain with Jacques Delorenzi (France) on vocals, Gaby Cardoso (Argentina) on electric piano, Yvalain on bass, guitars, arrangements (synths, violin, drums). A song of my latest album "Yvalain" that can be heard on Spotify, Deezer, Bandcamp, YouTube. Also available on Apple Music, Google Play, Amazon Music, Tidal and many other digital platforms. Type in "yvalain" in their search windows. Thank you for supporting my works. 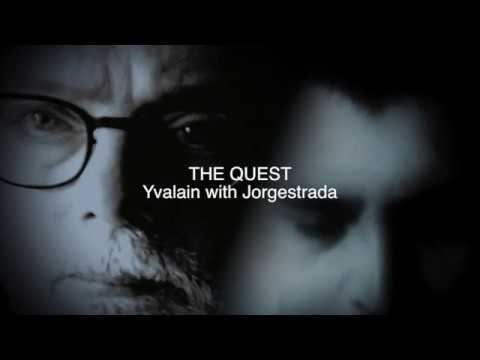 "I Thought I Had Solutions" an original composition by Yvalain with Jony Tomelin (Brazil) on vocals, Jaime Heras (Spain) on keyboards, Juha Hintikka (Finland) on flute and Yvalain (France) on guitar, bass and drums. 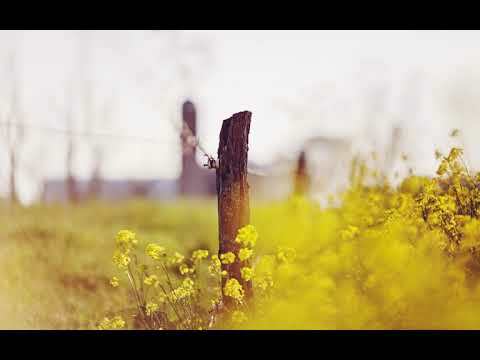 A song from my latest solo album "Yvalain" that can be heard on Spotify, Deezer, BandCamp, Apple Music, Amazon Music, Google Play, YouTube Music and many others. Just type in "yvalain" in their search bar. 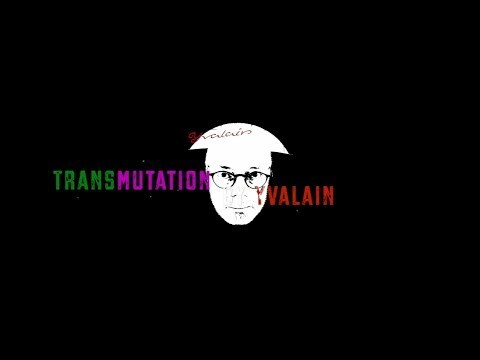 "'Transmutation" an original by Yvalain All instruments by Yvalain This is a new extract of my latest solo album "Yvalain" that can be heard on all known digital platforms such as SPOTIFY, DEEZER, Tidal, Amazon Music, Apple Music and more. Thank you to support my works there. "IV" by Horizon Watchers, an introduction to their 4th album. This video plays samples of the 13 songs that are in the album. You can find their full version in all known digital music shops and on free streaming services such as Deezer, Spotify, Tidal, Apple Music, Amazon Music, Google Play, YouTube music, BandCamp... Just type in "Horizon Watchers" in their search bar. This album was composed, played and recorded by Yvalain Debodinance and Juha Hintikka with Remco Heemskerk. Thank you for your support. "Our Magical Mystery Life" an original song by Zapple Pie Glenn Basham: words writer, all vocals, Mark Taylor: music composer, ukulele, Yvalain: music composer (the middle eight), bass, guitar and programmed instruments. "Lonely Evening" by Horizon Watchers, with Juha Hintikka on flute and Yvalain on bass, percussions and production. A song of our new album "IV" that can be found on all known music digital stores and streaming services. Just type in "Horizon Watchers" in their search bar. Thank you for supporting our music. ECLECTIC VIBRATIONS by Horizon Watchers, an introduction to their 3rd album. This video plays samples of the 13 songs that are in the album. You can enjoy their full version on all known digital music shops and free streaming services such as Deezer, Spotify, Tidal, Apple Music, Amazon Music, Google Play... Just type in "Horizon Watchers" in their search bar. This album was composed, played and recorded by Yvalain Debodinance and Juha Hintikka. Remco Heemskerk appears on one song.Thank you for your support. "Journey9: Berlin Resurrections" by Horizon Watchers with Juha Hintikka on flute, recorders and sax and Yvalain on guitars, bass, ukulele, percussions, synth and drums programming. This remixed version allowed to introduce Remco Heemskerk who plays guitar solo on the final. A song from the group's 2nd album called "'Journey". "Journey - Part1: Peace Talks in Helsinki" by Horizon Watchers, with Juha Hintikka in flute and Yvalain all other instruments and production. A song from the group's 2nd album called "'Journey". You can support the group on all known digital stores such as Apple Music, Amazon Music, Google Play, Tidal and many more or on free streaming services like Deezer and Spotify. Just search for "Horizon Watchers"
HE GAVE HER ALL HIS LOVE an original by Yvalain with Yvalain on vocals, bass, composing and arrangement of piano, strings & drums and Juha Hintikka, guest star on sax. 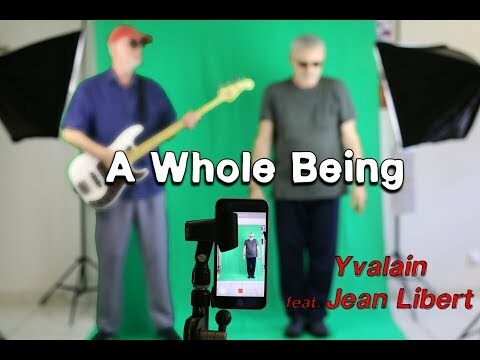 This song is from the new 2018 album called "Yvalain" available on all known streaming services and online music shops such as iTunes/Apple Music, Spotify, Google Play, Amazon Music, Tidal, Deezer... An audio and video Production by Yvalain Debodinance. "My Heaven" by Horizon Watchers, a song of their 1st album "Dream of the Earth" now remixed and remastered and available on all known digital stores and free streaming services. Just search for Horizon Watchers" or any of the artists names. A song composed by Yvalain Debodinance with Siri on vocals, Juha on flute and Yvalain on guitars and vocals. "Kindergarten" by Horizon Watchers with Juha Hintikka on flute and Yvalain on guitar, bass, programming of viola and glockenspiel Extract of the band's first album named DREAM OF THE EARTH now available on all known digital stores and free streaming services. Just search "Horizon Watchers" or any of the artists names. "Life Dance" an original by Horizon Watchers composed and played by Yvalain & Juha Hintikka. Extract of the band's first album named DREAM OF THE EARTH now available on all known digital stores and free streaming services. Just search "Horizon Watchers" or any of the artists names. JULY 6TH by Yvalain featuring Jony Tomelin on vocal, Juha Hintikka on recorders and Yvalain on bass, guitar, strings, organ and drums. A song and a video composed and produced by Yvalain Debodinance Extract from my brand new album called "Yvalain"
"Horizon Watchers" by Yvalain & Juha Hintikka Introducing Remco Heemskerk on solo guitar. Juha: all wind instruments, composer of flute airs and solos Yvalain Debodinance: song composer, bass, guitars, percussions and strings arrangement and overall audio and video production. "New Heaven", an original by Yvalain with Maya de Luna Yvalain: music and overall production. Maya: vocals, improvised lyrics, sung melodies. A song of our new album "To Infinity" published on free streaming services and online digital music stores. To find it just type in "yvalain" in their search bar. "Give a Meaning to Everything", an original composition by Yvalain & Maya de Luna See all details in the video. A song of our new album "To Infinity" published on free streaming services and online digital music stores. To find it just type in "yvalain" in their search bar. Jony Tomelin's Both of Us Jony: Song and lyrics, acoustic guitars, resonator guitar, drums, percussions, electric guitar, lap steel guitar, vocals, keyboards (strings). Yvalain: Electric bass. Produced by Jony Tomelin (2018). "A Gentle Knock" an original by Yvalain A song recorded in 01/2018, part of the album "To Infinity" available on digital stores and free streaming services (Apple Music, Amazon, Google Play, Deezer, Spotify and more). To find my music just type in "Yvalain" in their search bar. Happy Christmas by Zapple Pie, it has become a tradition that the group sends its wishes in music for their followers. This is this year's message. Mark starts the show, Yvalain at 1:22 and then Glenn at 3:00. Included several bits of famous Beatles, Paul McCartney and John Lennon's songs plus traditional refrains. GUIGUAJIRA, an original by Yvalain & Juha Hintikka. 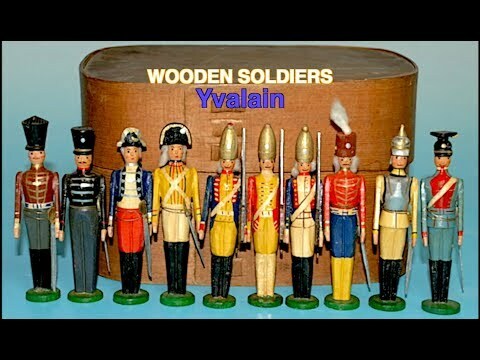 Another dance music ;) Yvalain: composer, bass, acoustic guitars, arrangements Juha: co-composer, alto sax, flute Drums and piano tracks were composed by Yvalain and created with Band in a box. This song is from our latest album: "ECLECTIC VIBRATIONS" that is available on all known streaming services such as Amazon Music, Google Play, Apple Music, Deezer, Spotify and many more. Just type in: "yvalain and juha hintikka" in their search bar to find our music. Thank you for your support. "Pieces" by Zapple Pie, a promo video for our new album "Pieces of Zapple Pie". The video contains samples of the 15 songs of the album with some rare footage of the group's members who are Glenn Basham, Mark Taylor and Yvalain Debodinance. We hope that this video will encourage our viewers to listen the whole album. Now the 4 albums created by Zapple Pie are distributed in every known on-line music store for free streaming or High Definition purchase; Amazon Music, Apple Music, iTunes, Google Play and many more that are listed at the end of the video. Enter "Zapple Pie" in their search bar and you'll find our music. Thank you for your support that gives us the energy to continue this musical adventure. "Old Dad" an original by Yvalain & Juha Hintikka with Juha on bass-flute and flute, Yvalain on bass, guitar and programming of the following: bassons, synths, french horns, vibraphone plus various percussions. "Through The Stained Glass" by Yvalain and Juha Hintikka. Imagine a cathedral at medieval times. There are many people: pilgrims, preachers, craftsmen... and musicians. They meet for the 1st time. One violinist starts to play an air of his own. Soon he's joined by a flutist, other musicians join them, improvising together. This is what you'll hear here. Thank you for your listen.